There are many reasons why Dolley Madison is my favorite First Lady. During her lifetime she was able to survive controversy, poverty, and uncertainty with grace backed by an iron will. She also experienced success beyond what most people dream of. Born into a devout Quaker family she watched her father fall into poverty, and her brothers’ succumb to alcoholism and gambling. Her first husband was a man her father chose for her. She watched, ill herself, as her husband and infant son died on the same day, during a Yellow Fever epidemic in Philadelphia. She then had to fight to keep her husband’s property, and for the custody of her one remaining son. In the 1790s married woman could not own property—furthermore, they were considered the property of their husbands. Dolley succeeded in both endeavors. James was seven years her senior. The two being a classic case of opposites’ attract met and married. For the next forty-two years they were rarely apart. When Thomas Jefferson became president he appointed James Madison Secretary of State. When the Madison’s moved to Washington City—now Washington D.C., it was a muddy mess surrounded by mosquito infested swamps. Her visits worked because when Jefferson’s second term was almost over she had established a board base of politicians and their wives who supported her husband’s bid for the presidency. Dolley bore this criticism with grace and a smile. Dolley invented the model, where a married couple works together to campaign for office, it is of course used today. 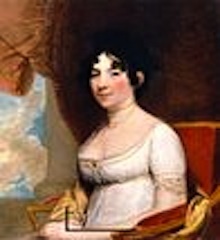 Dolley continued to be her husband’s best ally after he was elected the fourth president of the United States in 1809. Congress was made up of two political parties: the Federalists, and the Republicans. Politicians from these two parties were literally at each other’s throats as Madison took office. Duels were fought daily on nearby Bladensburg field. The United States had been established only twenty years before. There was an air of uncertainty whether or not this new experiment-- democracy, would really work. Madison who had played a major role in developing it, desperately wanted it to survive and thrive. Dolley seeing a need for these two sides to come together in a less formal setting opened the public rooms in the Executive Mansion for informal parties every Wednesday evening. These affairs became known as “squeezers” because so many people attended. Dolley’s idea worked. Politicians from both sides attended and were able to open a productive dialogue, while eating the ice cream she served which had recently become a national sensation. The Executive Mansion became known as the White House, and this concept of working out differences informally became a keystone to making democracy work-- Dolley’s efforts made this happen. Dolley is probably best known for her courage during the War of 1812. As the British troops entered Washington City, Dolley alone with a few slaves, saved a very important American symbol. It was the very large portrait of George Washington that hung in the White House’s dining room. Dolley knew if the British got their hands on this portrait, they would parade it through the streets of London in triumph. So at great risk to herself, she stayed until she knew it was safely taken away in a wagon. 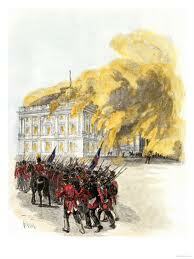 The British burned the White House and the Capital building. When a peace treaty was signed there was a major push to abandon Washington City as the Capital and return to Philadelphia. 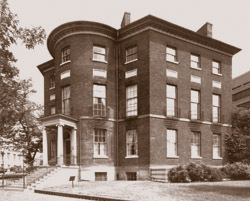 Dolley immediately started throwing parties, at the Octagon house, where she and James stayed after the White House was destroyed. She visited everyone in the city. She knew that Washington as the Capital of the country was too important of a symbol to give up. If Americans abandoned it, it would be considered a concession to the British. Again, her efforts worked and Congress voted to remain in Washington. The last two years Madison was president he and Dolley experienced unprecedented approval—this was due in large part to Dolley’s courage during the War and her already tested leadership ability. Beyond this the War of 1812 solidified America as a free, democratic nation. This war proved that America was here to stay. Madison not only did not abuse his executive power during the war, by expanding it—he also provided the ultimate model of what a democracy should be. He, unlike his predecessors, did not persecute or jail Americans who criticized him during the war. Years later, when James Madison died, Dolley was inconsolable. Shortly after Madison's death she found herself once again in poverty. Her son from her first marriage unfortunately followed in the footsteps of her brothers -- failure caused by alcoholism and gambling—which led to her financial ruin. She was forced to sell her husband’s home, Montpelier. Despite this Dolley was able to move back to Washington D.C. There she saw the fruits of her labor. Washington was now a thriving, successful city that represented the young democracy well. --The term “First Lady” was coined during her husbands’ administration, she more than any other president’s wife of her time defined what the First Ladies' role should be—this model has been followed ever since. --Dolley while first lady wore simple elegant off-white dresses with pearls as opposed to diamonds that would have set her apart from the average man. --At the first American Inaugural Ball given Dolley and James wanted to send the message of equality so everyone who could afford the price of the $4.00 ticket could attend. --Her manners and grace defined the protocol on how the American administration should treat foreign dignitaries and their wives. --Dolley was the first “First Lady” to adopt a charitable cause, a girl’s orphanage for victims of the War of 1812. --When she returned to Washington, in her twilight years, she was considered “A Founder” just like Washington, Jefferson, and Madison. --She was present at the celebration commemorating the laying of the first cornerstone of the Washington Monument, several years before this she had tea with George Washington. --When the first telegraph was laid between Washington and Baltimore she was the first private citizen to send a message. --Dolley was awarded an honorary seat in congress, the only private citizen to receive this privilege. This allowed her to watch congressional debates from the floor. --When she died, in July of 1849, all of Washington shut down and the entire country mourned. Considering Dolley’s impact on Washington D.C. it is not surprising her ghost has been seen over the years around the city. 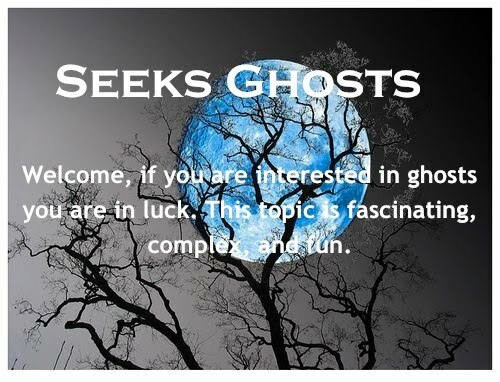 She has been seen near the fireplace in the main ballroom in the Octagon House, she has also been spotted walking through a closed door heading toward the back garden of the Octagon. Her presence is accompanied by the smell of lilacs, her favorite flower. Dolley planted the original Rose Garden at the White House. Years later during Woodrow Wilson’s term his wife decided to remove this garden. Dolley appeared before the workman assigned the task and upbraided them. They fled and the Rose Garden remains, in place, today. When Dolley returned to Washington, after her husband’s death, she took a modest home on Lafayette Square around the corner from the White House. 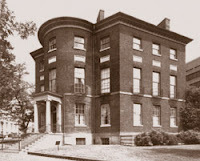 It was at this residence where men in the late 19th century leaving the “Washington Club” would tip their hats to the ghost of Dolley Madison, seen gently rocking in her favorite chair on the front porch.